Heeeey! I am about that smile by the way. Yes, the one that you got on your face when you are reading this, or the one that automatically appears when you remember that beautiful soul :-). At least there’s mine. Just the other day, I was in the supermarket and the queue at the till was annoyingly stuck, IT WAS NOT MOVING! Well, you can understand my frustration if I tell you that I was only lining up for a bar of chocolate (Rum & Raisins of course). So as I deliberately stretched my head forward to figure out whether there might be a ‘ceremony’ at the till, I realize that the ‘ceremony’ that was going on was that of a mutual connection between two people. Oh yes, the till guy and a pretty lady who was offloading the bulk of shopping near the bar-code stand. I mean, really??? a virtual wedding as we are stuck with a bar of chocolate in a queue of 10 people who seemed to have shopped for the world? The scape goat was that the system was experiencing a ‘short failure’. Short indeed! Anyway, I was about to be mad but before that, my eyes within my stretched head noticed the lady’s smile. It was magical , I mean am as straight as they come but that smile could change the heart of a tyrant. So I realized the reason for the till guy’s dumbfoundedness. He was smitten. I don’t know if the other people in the queue were upset, hehe, but who cares? That smile was important in our lives, it had to be seen, and for awhile! So I strutted out with my Cadbury’s magic that also made me smile. My point is, a smile is the strongest weapon one can have against the odds of life. You define your own happiness with a smile. It helps you fit where you belong. What’s more, you have no idea how many souls you bless with that smile. If it wasn’t for Adam and Eve, it would probably be the best essence of fashion in a naked world. Whaat? am just saying. This brings us to today’s edition of PEN AND PAPER POINT where we feature a sultry neo-soul songstress who gives you reason to listen to her songs from beginning to end. 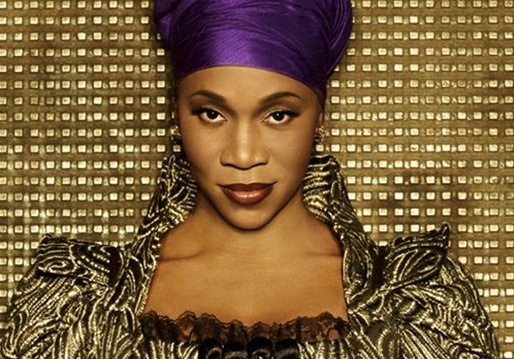 Chocolatey, delightful India Arie is one of those lady musicians who have an inspiring and powerful mixture of words and guitar tunes. Written by Anthony Harrington and herself, There’s Hope is a track that leave you feeling grateful and believing in yourself. It is simple, you have the power to be happy. Synthesize these beautiful lyrics. Kisses. That I could accomplish anything.